Mansfield is governed by an open town meeting, which is run by the Board of Selectmen and Town Manager. Town Meetings are held every spring and every registered voter can attend and vote. Mansfield was originally settled around the mid-1600s. The town was originally a part of Taunton until 1711, then Norton until 1731, and officially incorporated in 1775. The town is named Mansfield after William Murray, 1st Earl of Mansfield, Nottinghamshire, England, who was also a member of the House of Lords. Mansfield has a rich early history for industry and innovation. It is the birthplace of Benjamin E. Bates, an industrialist, philanthropist, and founder of Bates College, and also 19th century innovator and furnace manufacturer, Gordon Chilson, who operated in the town. Mansfield was also once home to the world’s largest geese farm, Austin geese farm. More recently, Honey Dew Donuts, a large franchise donuts and coffee shop, started in Mansfield in 1973. The Lowney Chocolate Factory, which operated on Oakland Street from 1903-2011, is now being redeveloped into upscale commercial and residential units. Mansfield’s public school system is governed by a superintendent and school committee. It consists of five schools: Roland Green Preschool, the Everett J. Robinson Elementary School (grades K-2), the Jordan-Jackson Elementary School (grades 3-5), the Harold L. Qualters Middle School (grades 6-8), and Mansfield High School. All the schools, except Roland Green Preschool, are located on East Street near Mansfield Center. Mansfield High School is well respected in academics, performing arts, and athletics. In 2014, both U.S. News and Boston Magazine listed Mansfield High School as one of the top 50 High Schools in Massachusetts. NerdWallet ranked Mansfield fourth in 2014 for best school districts for your money. The school has a Choir, Orchestra, Band Program, and a world champion Percussion Ensemble program that holds NESBA Championships in PSCO 2007, 2008, 2009, 2012 and 2013, and PSAA in 2010, 2011, and 2012. Mansfield High School also has highly successful athletic programs, particularly in basketball, track and field, and football. The town’s football program, which was the No. 1 ranked team in Massachusetts in 2013, has won seven state championships since 1992. Besides the Mansfield public school system, high school students can also attend Southeastern Regional Vocational-Technical High School and Bristol County Agricultural High School. Children can also attend the Foxboro Regional Charter School. The town also has one parochial school, Saint Mary’s (K-8), and an Islamic high school, Al-Noor Academy. Besides having the Xfinity Center, one of the most popular concert venues in New England, the town has plenty of other cultural opportunities. The Mansfield Music & Arts Society on North Main Street holds an art gallery and the Black Box Theater, where you can watch plays, stand-up comedy, and musical performances throughout the year. 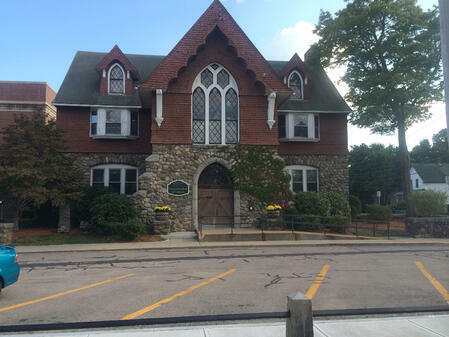 Residents can also listen to music at the local summer concert series, at the Rose Garden Coffeehouse within the Congregational Church, or at the annual New England Folk Festival, which has been held every year in Mansfield since 2007. Additionally, the National Black Doll Museum of History and Culture is located in Mansfield. For other options, the museums and shows in Boston and Providence are just a short train or car ride away. If you enjoy the outdoors, Mansfield has several options for recreational pursuits. The town is home to five conservation areas: Great Woods Conservation Area, Maple Park Conservation Area, York Conservation Area, Marie Strese Conservation Area, and Sweet Pond Conservation Area. Mansfield’s World War II Veterans Memorial Trail includes a paved bike trail that runs along the former rails of the Old Colony Railroad and leads to a nature trail. Also, right off of Main Street are the Town Commons and picturesque Fulton Pond, which is known for winter ice-skating and its annual (rubber) duck race that kicks off the summer Mansfield Parks & Recreation Department season. The Mansfield MBTA commuter rail station is on the Providence-Stoughton line, and Mansfield residents receive discounted parking at the station. This line brings you to Providence in about 20-25 minutes and to four different Boston commuter rail stops (Hyde Park, Ruggles, Back Bay, and South Station) in about 30-40 minutes. Shopping and dining offerings are plentiful in Downtown Mansfield, and more specifically Mansfield Crossing, a large retail and dining complex that contains a walking trail along a four-acre pond. Additionally, the Wrentham Outlets and Patriot Place are both within a 15-minute drive. Due to Mansfield's commercial property tax base, Mansfield’s residential tax rates are relatively low compared to similar communities. Mansfield real estate has a wide variety of real estate options for home buyers, including colonials, cape-style houses, ranches and raised ranches, as well as condominiums and some new developments. In 2016, the median single-family home price in Mansfield jumped to $444,900 (compared to $369,000 in 2015), with its lowest priced home selling for $170,000 and its highest priced home selling for $940,000, according to MLS Property Information Network, the local multiple listing service. In 2016, fifty-eight condos were also sold in Mansfield, with a median sale price of $223,500. 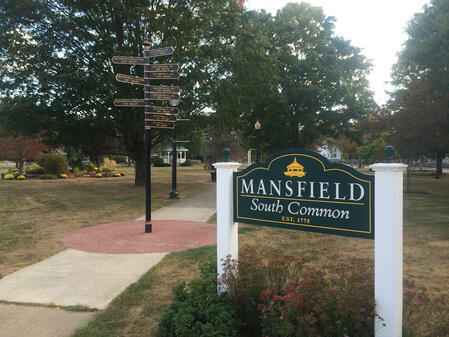 Mansfield is a great option for home buyers that want to purchase a reasonably-priced home without compromising on schools, amenities, and their commute time.